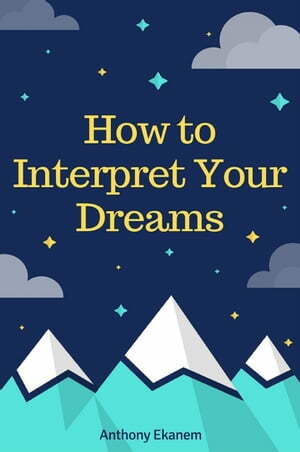 Collins Booksellers - How to Interpret Your Dreams by Anthony Ekanem, 9781370987436. Buy this book online. Dreams can do is provide a sense of insight into ourselves. They can help us cope with situations we’re unsure about. They can guide us in a certain direction when faced with uncertainty. They can simply give us an overall good feeling as we dream of something pleasant. The dream state is an experimental playground which gives you a chance to explore and express emotions without the usual inhibitions you may display in your waking life. Dreams provide an avenue of expression for that part of yourself that knows both your history and your potential as a spiritual being. They are another way the universe provides guidance about relationships, careers, and health problems. Through dreams you may find answers to your spiritual questions and even receive encouragement to some challenge in your life. While some dreams may allow you to release bottled emotions from your day's activities, others can lead to profound insights in a psychological or spiritual way. Acquiring the ability to interpret your dreams is a powerful tool. In analyzing your dreams, you can learn about your deep secrets and hidden feelings. No one is a better expert at interpreting your dreams than yourself. In this book, we’ll look at dreams and dreaming as a science as well as the various meanings that dream content can have. This is not meant to be a definitive guide to dreams. It is simply a starting point for you to look at what “movies” your sub-conscious is creating at night and how you can apply it to your life and effect change if needed. Remember that a dream unifies the body, mind, and spirit. It provides you with insight into yourself and a means for self-exploration. In understanding your dreams, you will have a better understanding and discovery of your true self. So stay a while -- explore, discover, have fun, and find out what's in your dreams!